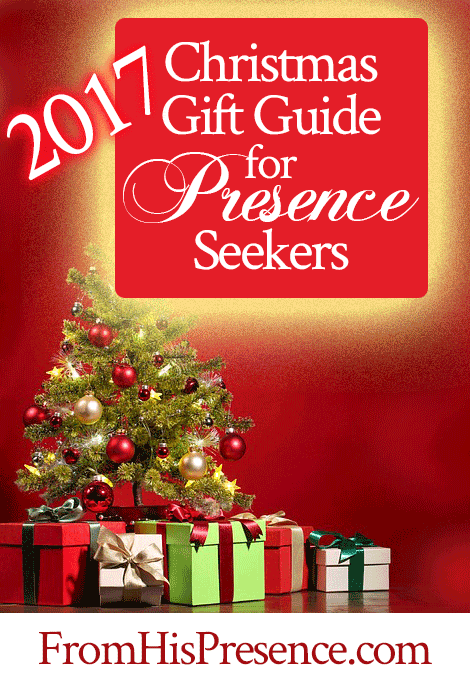 Christmas Gift Guide for Presence Seekers! 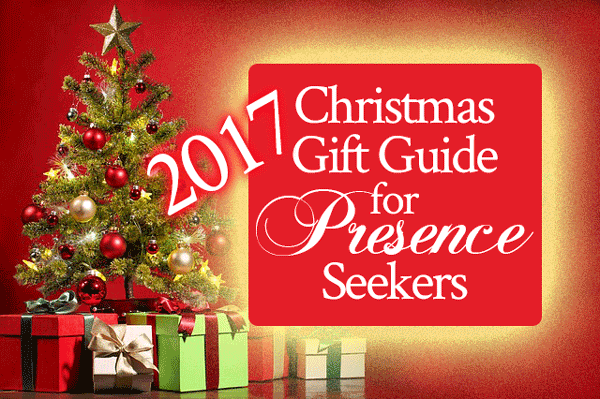 Are you looking for some great Christmas gift ideas for the Presence seeker in your family? (Even if that’s yourself?) 🙂 If so, I wanted to share some neat gift ideas that I love and would recommend to any Presence seeker, any day! [Meaning, other than my products. If you haven’t purchased any of my products, then of course I encourage you to dive into those too. I only produce them as the Lord leads, based on the prophetic sequence of what He’s doing NOW. 1. The ESV Interleaved Bible of everyone’s dreams. I’m sure this is the Bible of everyone’s dreams (even if they don’t know it yet), because it’s the Bible of my dreams. 😉 It’s the leatherbound ESV Journaling Bible, Interleaved Edition . I use a couple of different Bibles, but THIS is THE Bible I know I will keep and use THE REST OF MY LIFE. It’s that awesome. This Bible is patterned after the Bible that my hero, Jonathan Edwards, had made for himself. 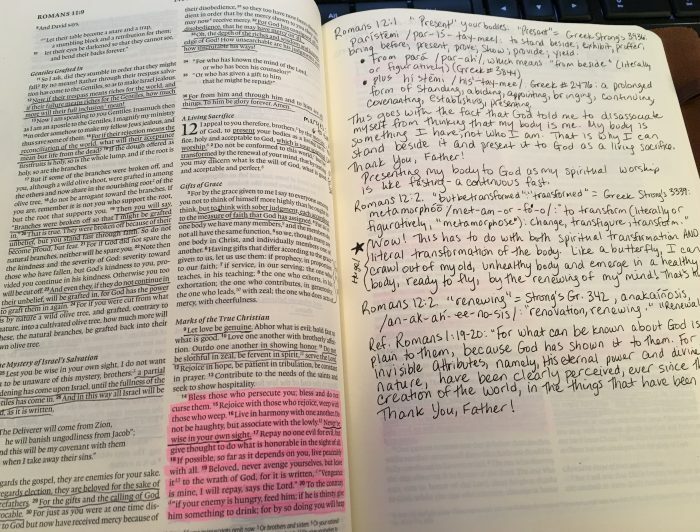 Edwards took a Bible apart and had it rebound, with a blank page sewn in between every page, so he could write study notes directly in his Bible with ease. So, every page in this Bible has a completely blank page beside it. It’s a fairly heavy Bible as a result, but it’s totally worth it. 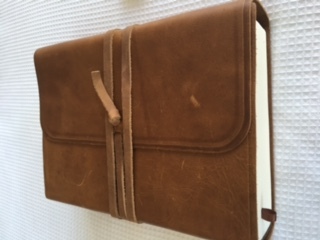 I use this Bible to write study notes, prayers, prophetic words, sermon outlines, and more. I can’t tell you how valuable this has been! It’s the BEST thing ever! There’s so much room to write in it that I don’t think I will ever fill it up. I CHERISH it like you would not believe. If you are a Presence-seeker who wants space to preserve everything Papa has been showing you, plus your study notes, plus more for many years to come–and even for an heirloom for your children–then get this Bible. Note: There are a couple of different formats of Bibles on Amazon that look similar on the outside: leatherbound and held together with a strap. But they are NOT all interleaved (bound with blank pages). Be sure to click on this link to direct you to the Bible I’m talking about here. By the way: I grew up with the NKJV and also use that version a lot, but the ESV is actually more accurate–and easier to read–than the NKJV. 🙂 It’s a win-win. 2. 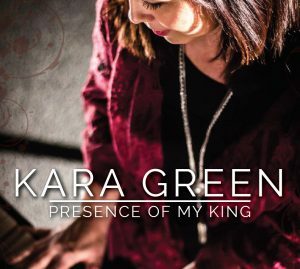 Kara Green’s prophetic worship album, Presence of My King. Kara Green is my favorite worship leader to work with when I preach and minister, and I play her album on REPEAT for hours at a time. A lot. I love this album so much because the songs were birthed in the throne room. I know; I was with Kara when she birthed many of these songs in various prayer meetings that we have led together. This album focuses on the person of Christ and the heavenly worship scenes–especially singing about Jesus, from the book of Revelation. Listening to this album will not only bring God’s glory down all around you, but joining in the worship will also help you WIN in spiritual warfare. Every time. By the way: my FAVORITE song on this album is “Blessing and Honor.” Listen to it once and you’ll be a weeping, worshipping puddle on the floor. And you’ll see what I mean. You can order a physical copy of Kara’s album via her website here, or you can download it on iTunes or Amazon. 3. A nice, big tallit (Jewish prayer shawl). I LOVE using my tallit. I use it virtually every day as I pray, and for other reasons as well. It’s SUCH a powerful tool that, somehow, really does make you more aware of the Presence of the Lord. It’s not a talisman and it doesn’t have any special powers; but it is a special thing that builds your faith that you ARE hidden in the secret place with the Lord when you pray. I even wrap myself with it (or use it like a blanket or pillow) when I sleep sometimes! Here is a nice blue tallit on Amazon that I have ordered before and is lovely. The one I personally use for myself isn’t sold anymore, but it’s a nice big red one. No matter what color you purchase, make sure to get a big tallit. If you want to take your awareness of the Lord in prayer to a new level, and you’re not already using a tallit, get yourself one of these beautiful tools and SEE with your own eyes that you really are hidden in the secret place! 4. 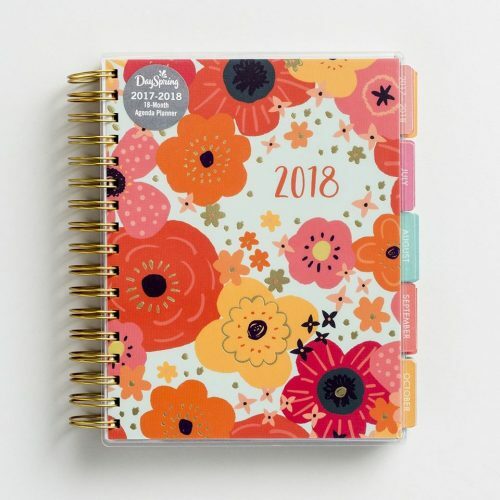 An 18-month agenda planner from DaySpring. They are durable, with a thick, laminated cover. They are well-made and colorful on the inside and outside. They have Scripture in them, as well as other inspirational quotes. And did I mention they are just plain BEAUTIFUL? I have tried so many other planners (I’m a paper girl; gotta have a physical planner), even from WAY more expensive companies. However, even though the other folks’ planners have been pretty, none of them has carried the anointing or the SPECIALNESS of the DaySpring 18-month planners. So I’m rocking my DaySpring planner right now, and loving every minute of it. Using my planner is absolutely essential to my life, so I definitely recommend one. Here’s a selection of their current offerings. If you are a planner person too–or if you are gifting one to someone else–I believe you will LOVE these 18-month planners from DaySpring. Then read this book, Church History in Plain Language by Bruce Shelley. In one of our recent webinars, our Presence-seekers asked me how they can learn more about ancient, Biblical culture so they can understand God’s Word better. One of my first recommendations for this is to study church history. THIS book, Church History in Plain Language, is a book I have read. (I’m specifically recommending the third edition here since that’s the one I read, but there is a fourth edition as well. I just can’t vouch for it since I haven’t read it.) And I LOVED it. It helped me so much. This book is super-cheap for both the Kindle and paper editions. Find it on Amazon here. 6. Artistic Bible journaling supplies. If you haven’t already started Bible journaling, oh my. You are SO missing out. Adding art to your Bible study engages both sides of your brain AND your spirit, as well as your mind; so it’s like you get triple the encounter with God in the same amount of time. 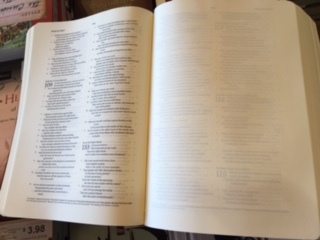 The NKJV, large-print journaling Bible at left. These things are like painting with lipstick. They are amazing, and they produce VIBRANT colors and no mess. Here’s a whole list of the different color combinations available. I started with the Brights set, then the Metallics. But prices have gone down so much that you can get way more colors for not much more money. Pick what you like; you can’t go wrong. Any of the supplies listed here in my top 10 list of favorite Bible journaling supplies. All of them have been hugely helpful to me. The Total Money Makeover by Dave Ramsey. This book absolutely transformed my finances and, thus, my life. Cannot recommend it enough! And it’s really easy to read and FULL of stories to keep you inspired as you walk through tiny, baby steps to your financial makeover. The Knowledge of the Holy by A.W. Tozer. If I could only pick one book to read the rest of my life, other than the Bible, this would be it. Again, it transformed my life. Forever. Sparkling Gems from the Greek Volume 1 (365-day devotional). This is the best devotional book I’ve ever read, hands-down. It is extremely prophetic each day, and it will knock your socks off with revelation, comfort, and encouragement. The Circle Maker: Praying Circles Around Your Biggest Dreams and Greatest Fears by Mark Batterson. This book will revolutionize your prayer life. It’s only a couple of years old, but I consider it to be “classic-worthy.” If you haven’t read it yet, run don’t walk to do so. It will inspire you like crazy. Draw the Circle: The 40-Day Prayer Challenge by Mark Batterson. One of the most comforting and timeliest books I’ve ever read. I cried and cried from the comfort I received from this book. Batterson reads your mail. Get this book! Have you used any of these resources? If so, what would you recommend–or what other resources would make great gifts for your Presence seeker? Note: Some of the links above are my affiliate links. This means that, if you click through a link to purchase a resource, I may be paid a small commission at no additional cost to you. 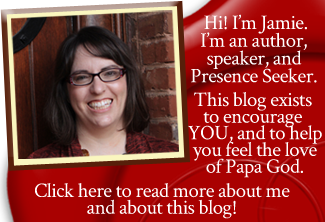 Thank you in advance for helping support the blog in this way!